Meet the folks that keep the marina running! Rhonda is a native Californian, having grown up right here in Benicia. She is putting her business degree from Cal State to good use running the beautiful marina where she is well-respected by staff and berthers alike. Rhonda stays in shape by playing volleyball with the City co-ed league, a sport at which she both excels and enjoys. She and husband Matt are raising 2 fine sons who are proud of their Harbormaster Mom! 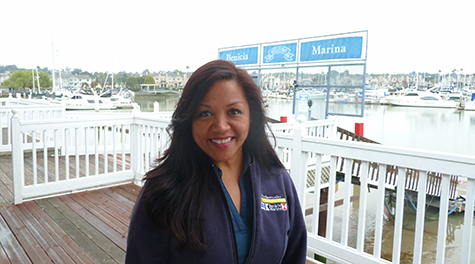 With the Marina since 2003, Rhonda can be found conducting harbor business Monday through Fridays until 1:00 pm. Patrick is the assistant harbormaster and Andrew works in the marina office. Fermin and Braulio are on Benicia Marina's maintenance crew. Lisa can be found in the Marina office. Dylan, Ronan and Julia stand ready to help you!